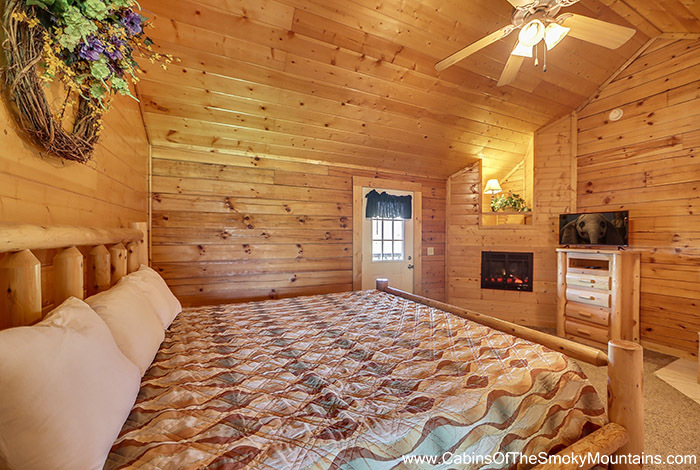 Experience the natural beauty of Tennessee's Great Smoky Mountains at Lantern Hill Lodge. 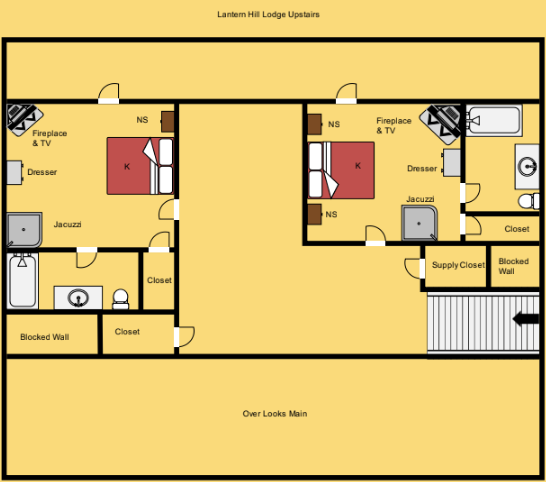 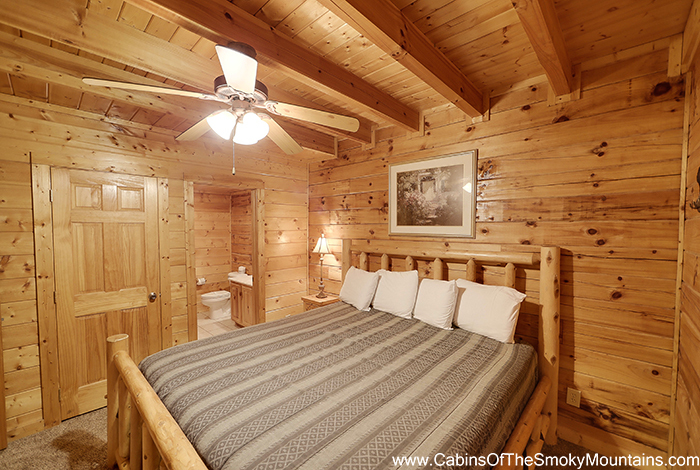 Lantern Hill Lodge is a huge seven bedroom luxury log cabin in a picturesque setting. 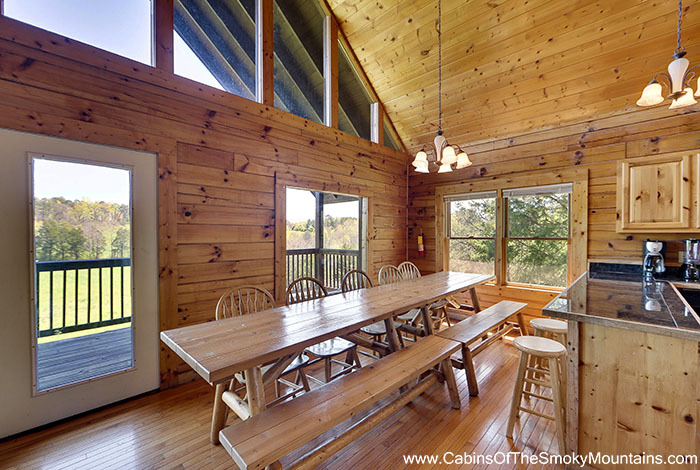 Enjoy its space – both inside and outside. 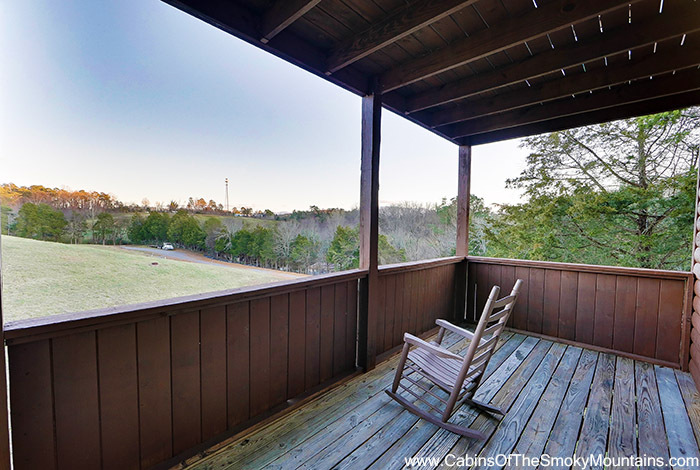 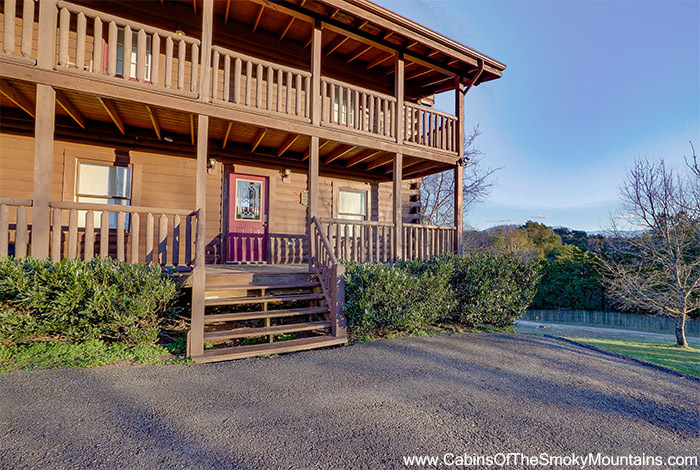 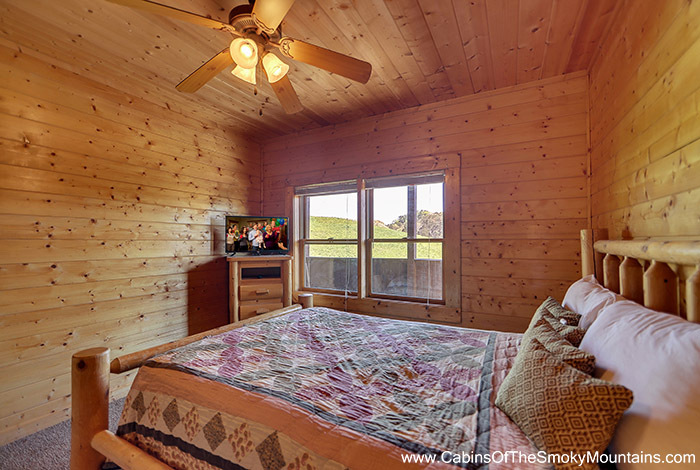 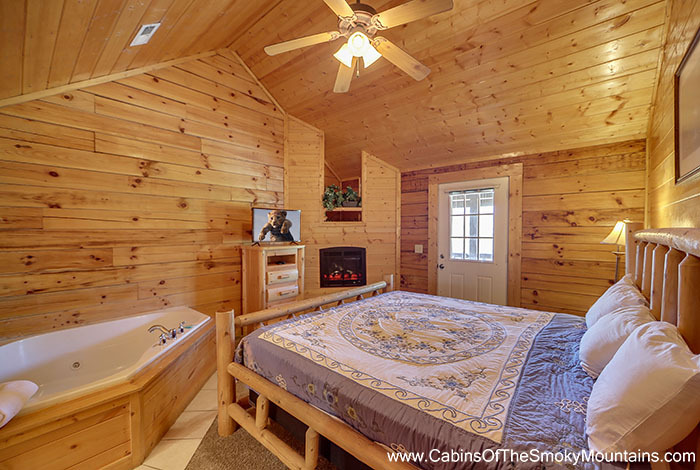 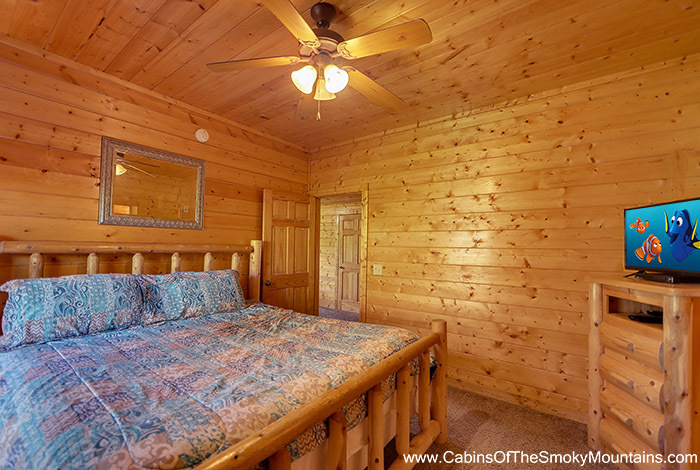 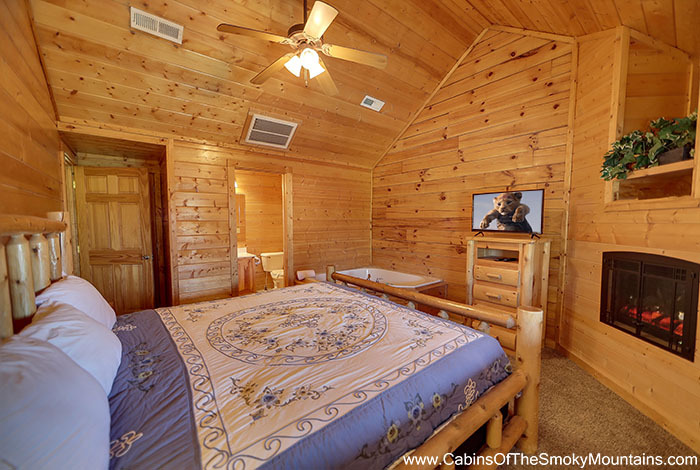 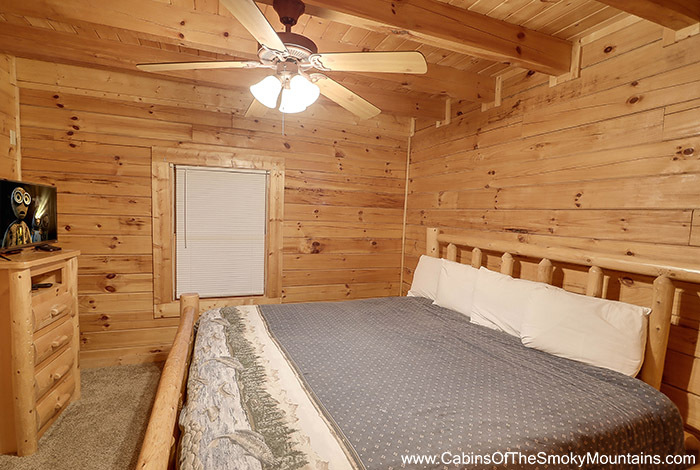 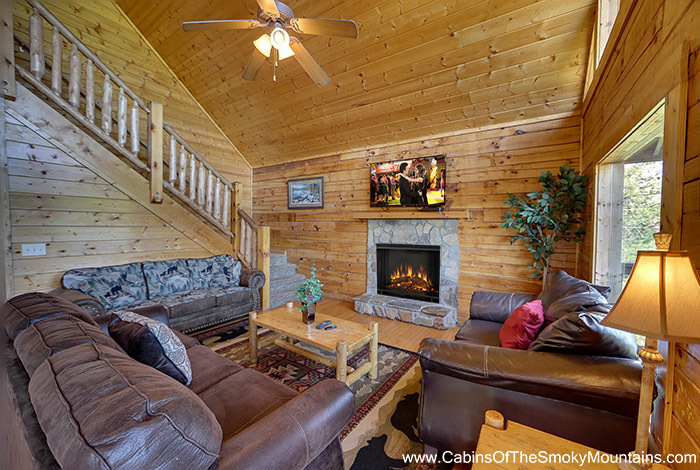 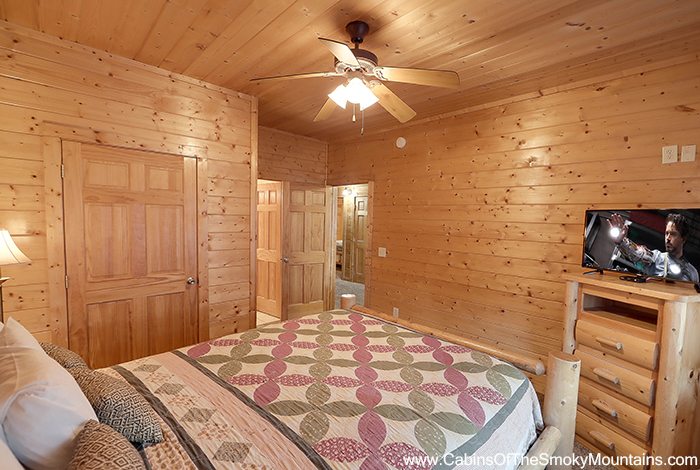 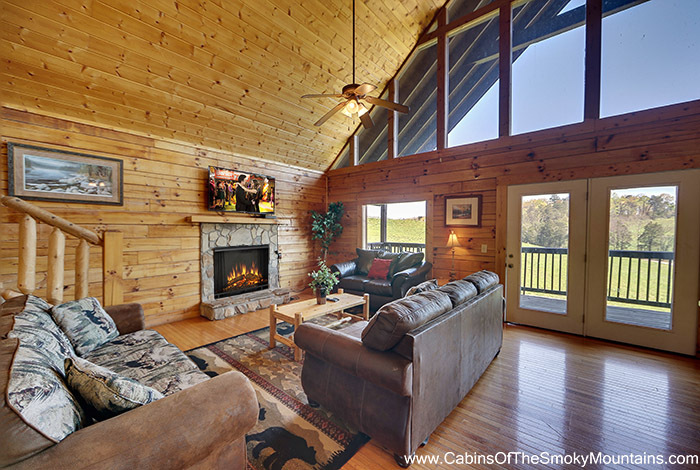 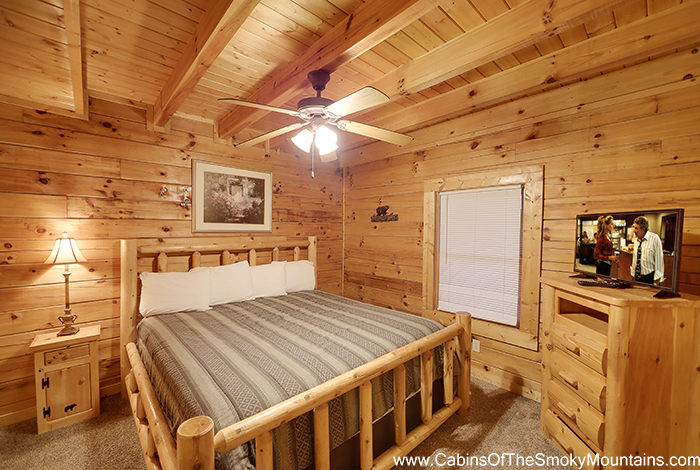 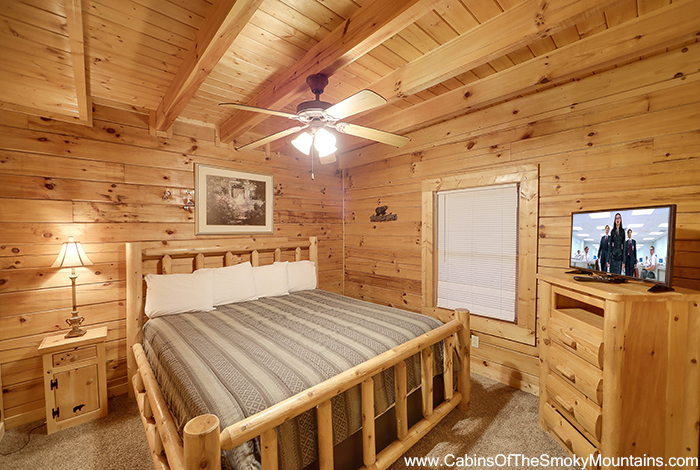 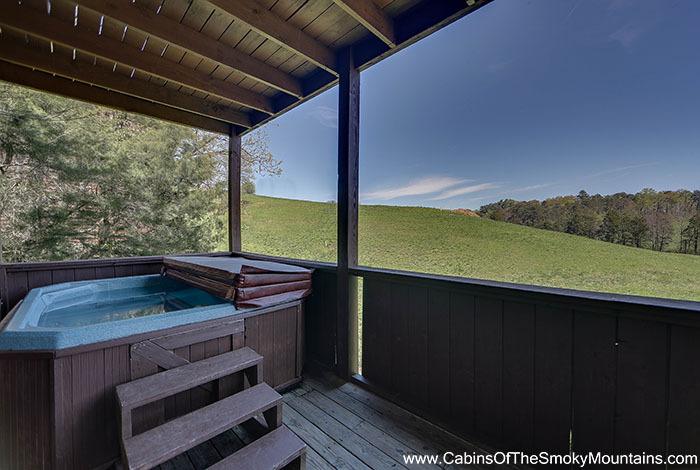 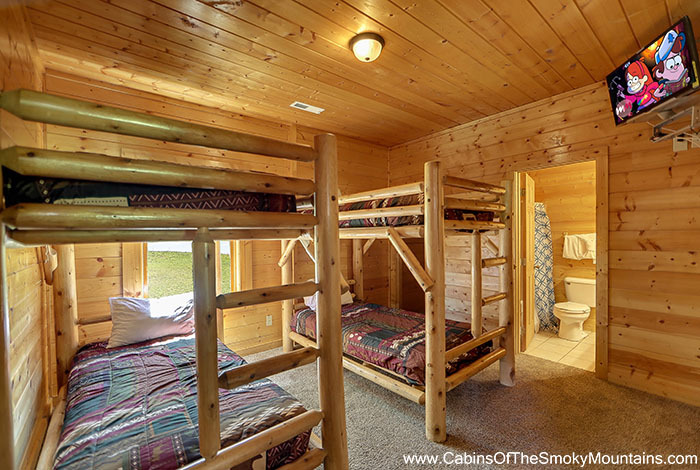 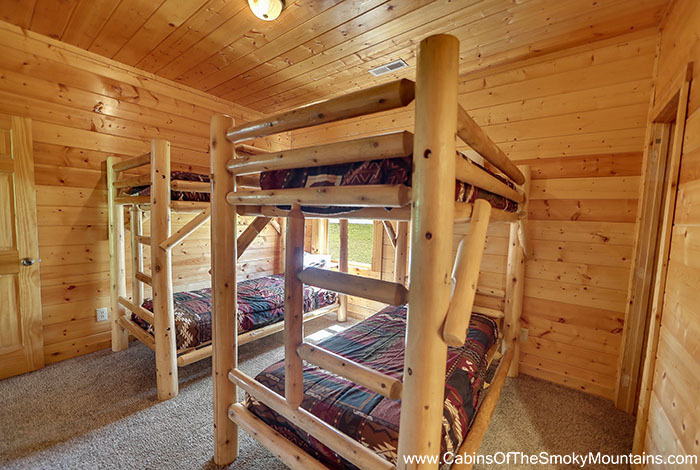 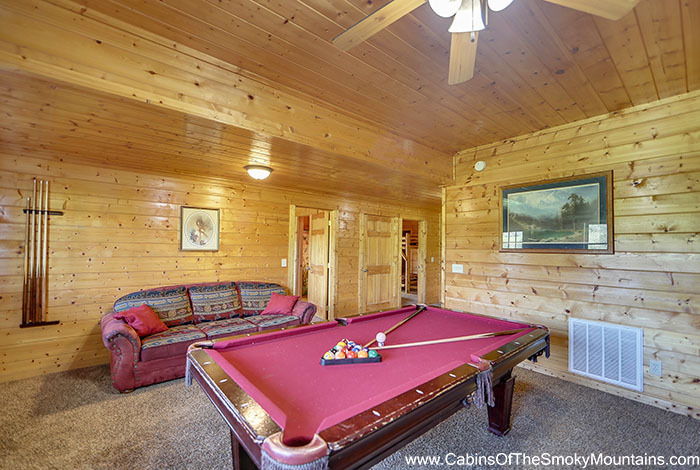 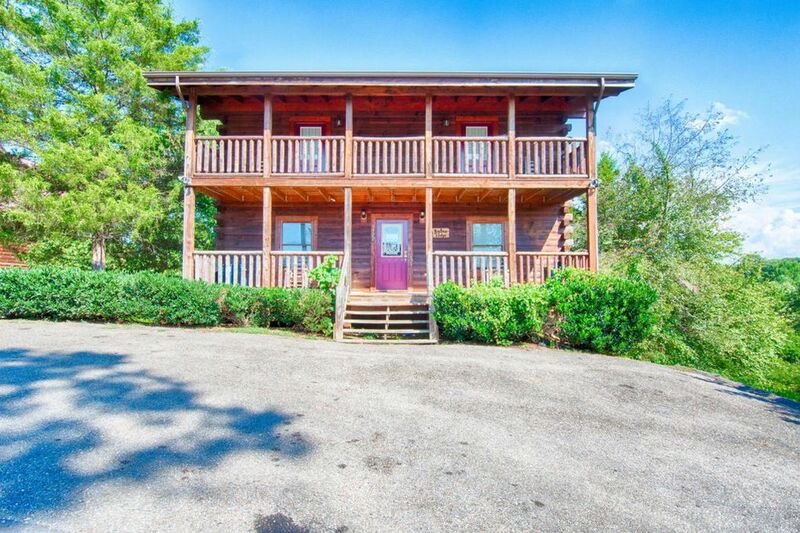 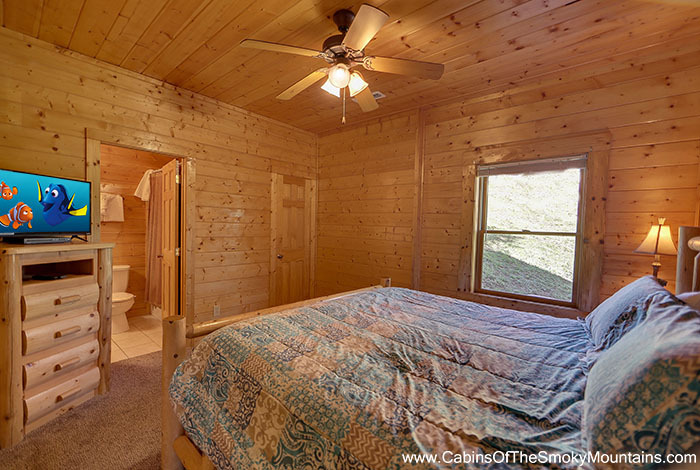 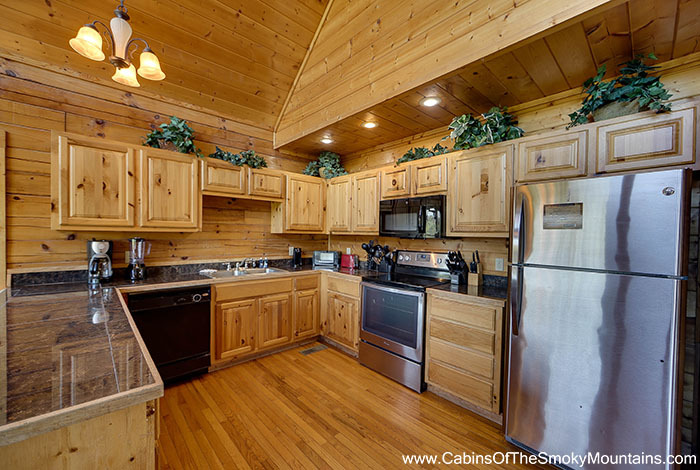 This gorgeous Pigeon Forge cabin is sure to excite those looking for all the adventure of the Smokies. 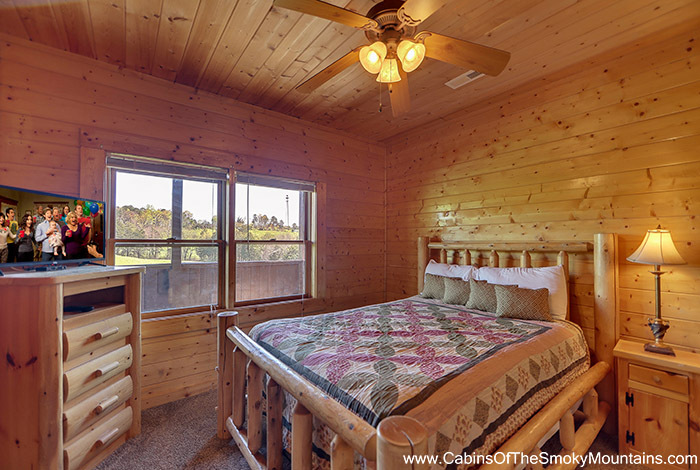 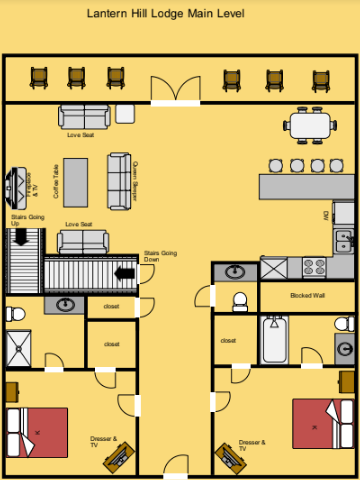 Capable of comfortably accommodating 20 guests, it is beautifully furnished with 6 king beds, 2 twin bunk beds, and 1 queen sleeper sofa. 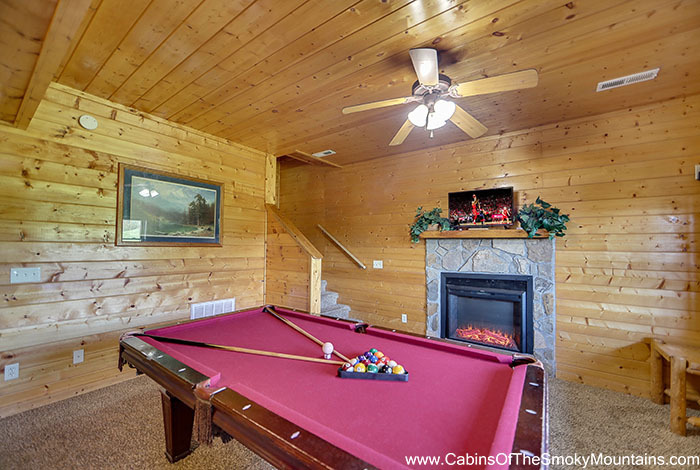 Enjoy a game of pool with family and friends or relax in the hot tub taking in all the beauty that surrounds you. 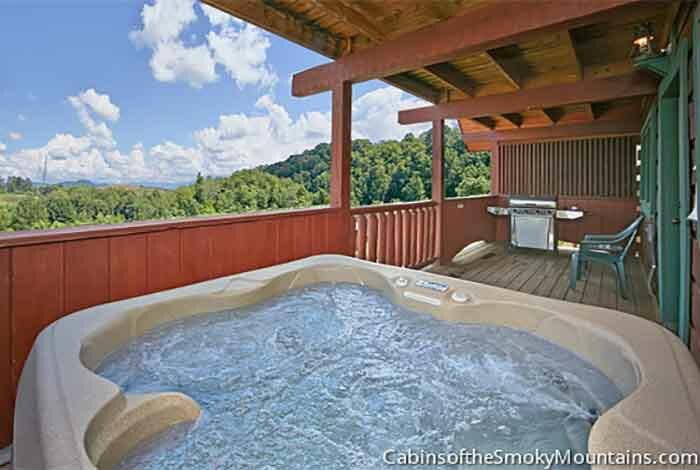 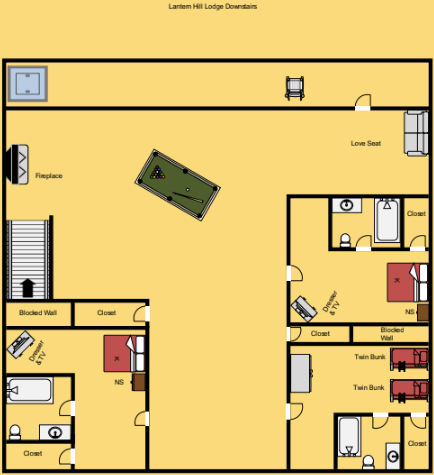 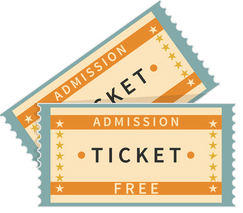 Just minutes from the Great Smoky Mountains National Park, downtown Pigeon Forge, and Dollywood. 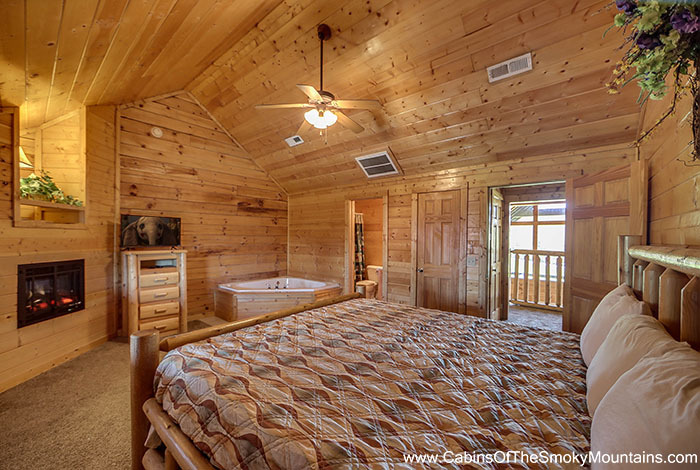 Treat yourself to the best in Smoky Mountain luxury and convenience at Lantern Hill Lodge.